First european settlers, Nicholas and Marianne Ladner, built a home in 1788 near Bear Point. Area first called "the chimneys" by coastal mariners after the landmark chimneys on the Ladner home. The village that developed in the 1800's was known as Rosalie, the name chosen by early settler J. J. McCaughan for his home. With the arrival of the railroad the area was named Scott's Station after George Scott who gave the land for the railroad station. 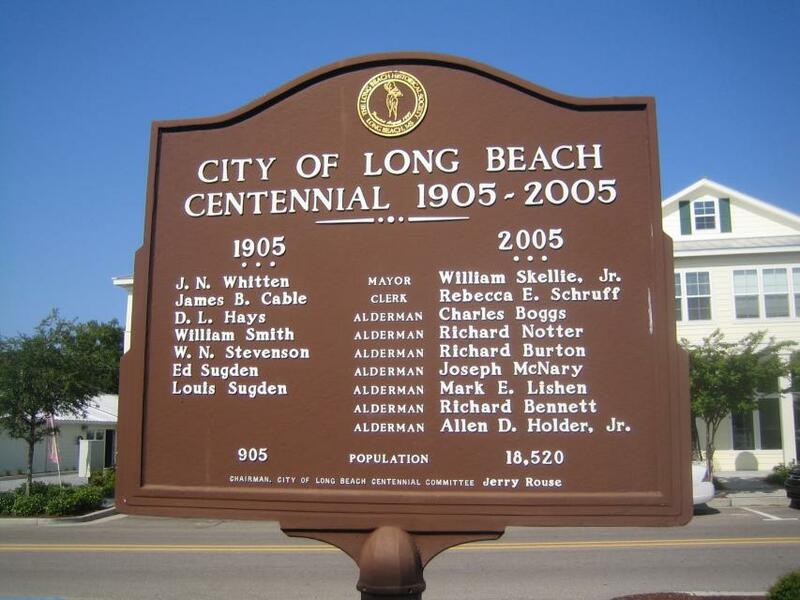 On August 10, 1905, Governor James K. Vardaman issued a proclamation incorporating the Town of Long Beach. 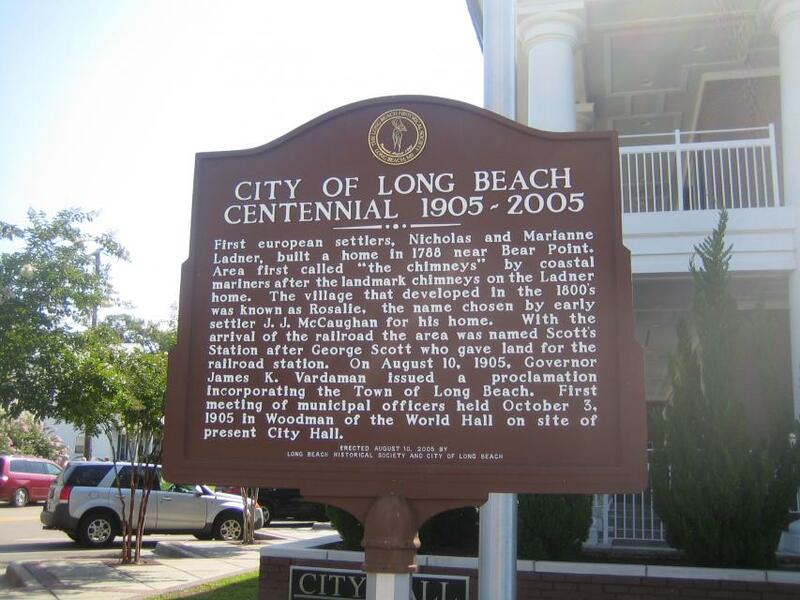 First meeting of municipal officers held October 3, 1905 in Woodman of the World Hall on site of present City Hall. J.N. Whitten — Mayor — William Skellie, Jr.
Alderman — Allen D. Holder, Jr. This marker can also be identified by its HM code. You can use the hashtag #HM1JAW in tweets, and any other place where you might refer to this marker, including when searching on this site.